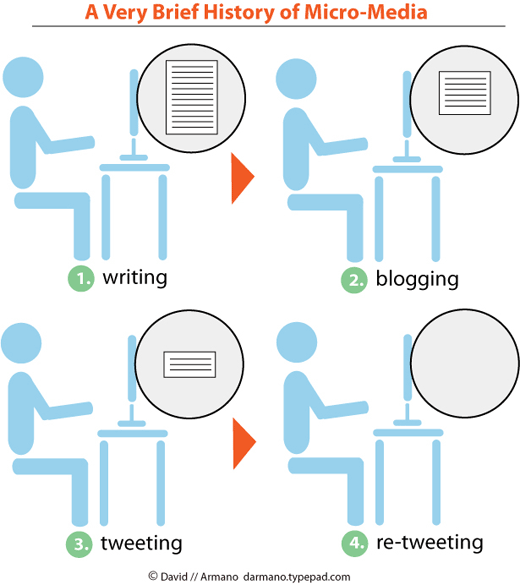 This illustration says a lot about the evolution of writing on the Web and our decreasing attention span. A Very Brief History of Micro-Media. Credit: David Armano.